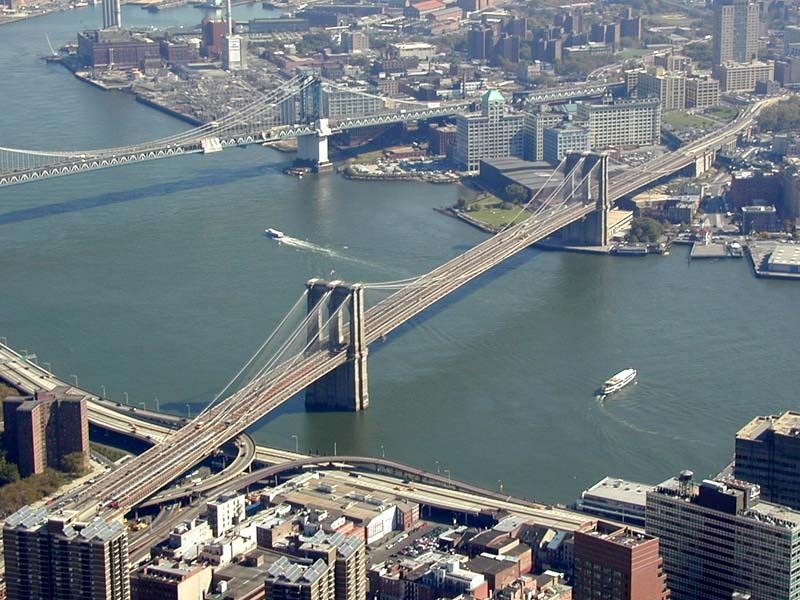 One of three eastbound (Queens-bound) lanes of the Brooklyn Bridge will be closed on Saturday from 6 am to 2 pm to facilitate bridge maintenance. Because of reconstruction work on the Manhattan Bridge, on Saturday from 7 am to 4:30 pm there will be two lanes westbound/inbound on the North Upper Roadway and one lane eastbound/outbound on the South Upper Roadway, and two lanes eastbound/outbound on the lower roadway. The Grand Street Bridge over Newtown Creek will be closed on Saturday from 8 am to 1 pm to perform structural, electrical and mechanical repairs. Vehicular and pedestrian traffic will be detoured to the Metropolitan Avenue Bridge. 9th Avenue between 42st Street and 57th Street in Manhattan will be closed on Saturday and Sunday from 11 am to 6 pm for the Ninth Avenue Food Festival. The northbound Van Wyck Expressway exit ramp to the westbound Grand Central Parkway will be closed on Sunday from 1 am to 6 am to facilitate NY State DOT pedestrian overpass work. Additionally one of three lanes on the northbound expressway leading up to this exit will be closed during those hours. Mulberry Street between Canal Street and Broome Street will be closed Friday through Monday from 11 am to 6 pm for the Mulberry Street Pedestrian Mall.